In the modern world of top-level athletes, there are many similarities between players that can, at times, make drawing comparisons quite easy. 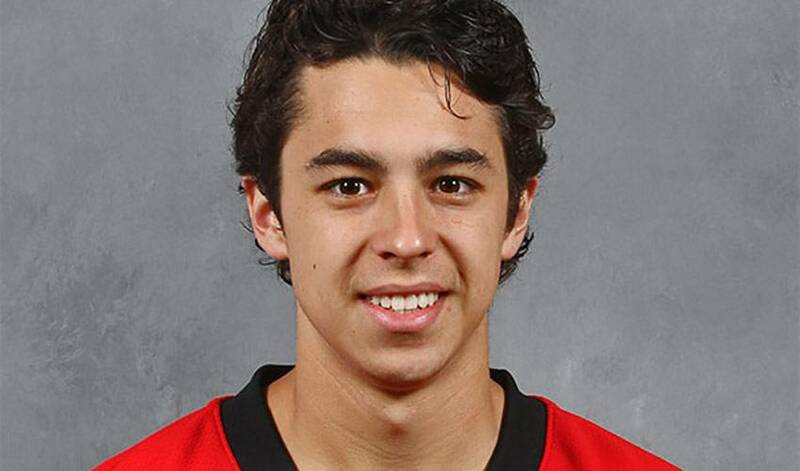 With Calgary Flames rookie, Johnny Gaudreau, that is not the case. Gaudreau is a unique talent. His size, skating, puck-skills and vision are immediately apparent when watching him play. After dazzling for three years at Boston College, including his final season when he was named the Hobey Baker Award recipient as the top player in the NCAA, Gaudreau made the jump to the Flames' line-up this season. Early on, it wasn't guaranteed that he would remain with the club, as it appeared that he was having issues adjusting to the NHL game. But, as is often the case with supremely talented players, Gaudreau quickly adapted and began to find chemistry with many of his youthful Flames teammates. Once his comfort level elevated, so did the offensive production in his game. Recently, Gaudreau has been on a ridiculous pace and showcasing his talents to hockey fans all over the world. This past week he posted a natural hat-trick in a Calgary win over the defending Cup champs in Los Angeles, becoming the youngest Flames player to notch three goals in a game since Joe Nieuwendyk way back in 1987. He followed that up by lighting the lamp twice more in a 4-1 win over Edmonton on December 27th. His play has vaulted him firmly into the discussion for the Calder Trophy as the league’s top rookie and both the Flames and their fans are loving what they are seeing from their standout offensive dynamo, Johnny Gaudreau! Congrats to Johnny on being named the NHLPA.com Player of the Week!